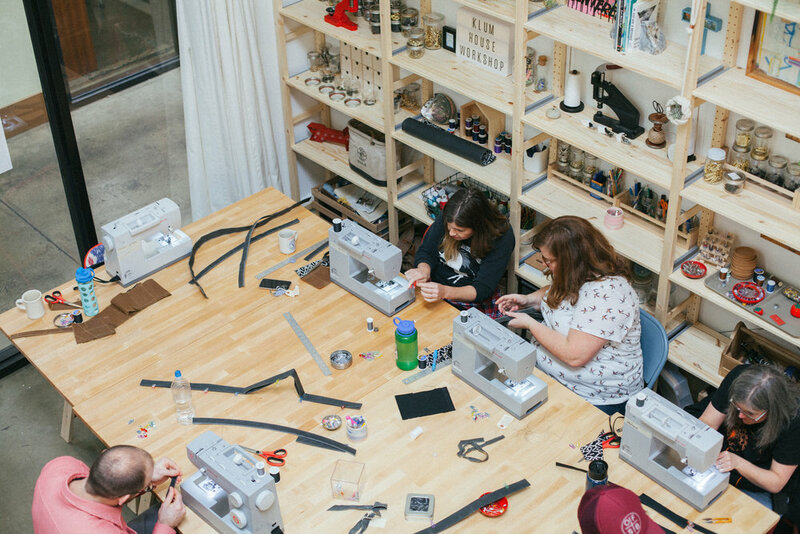 Social Sew - SOLD OUT! It's social sew! 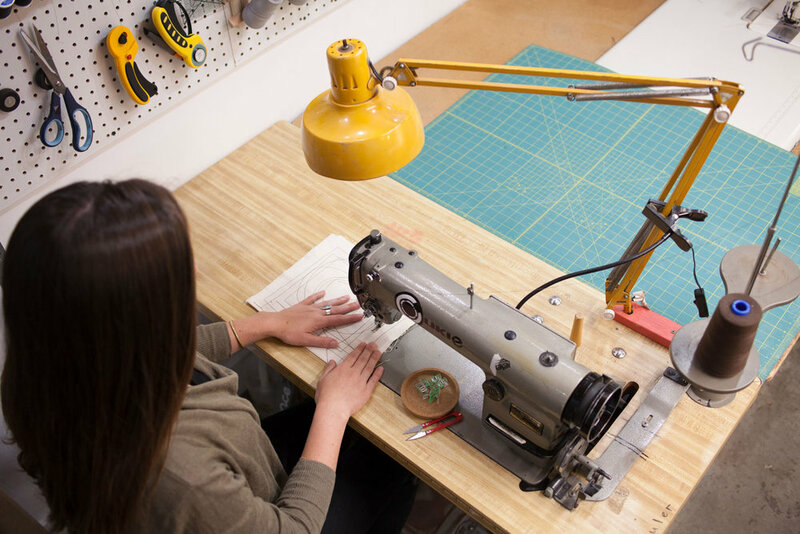 Bring an unfinished project, maker kit, or start anew. 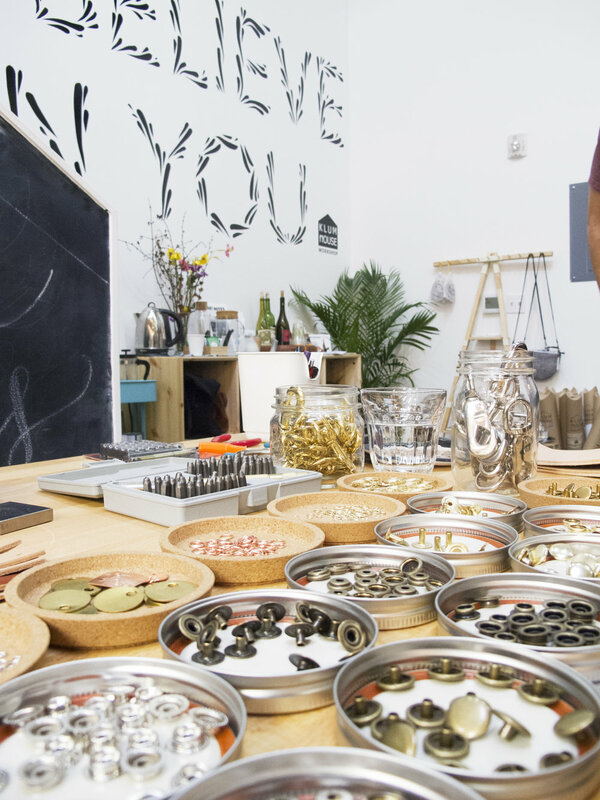 Make stuff, snack, mingle with makers! Keep snacking! 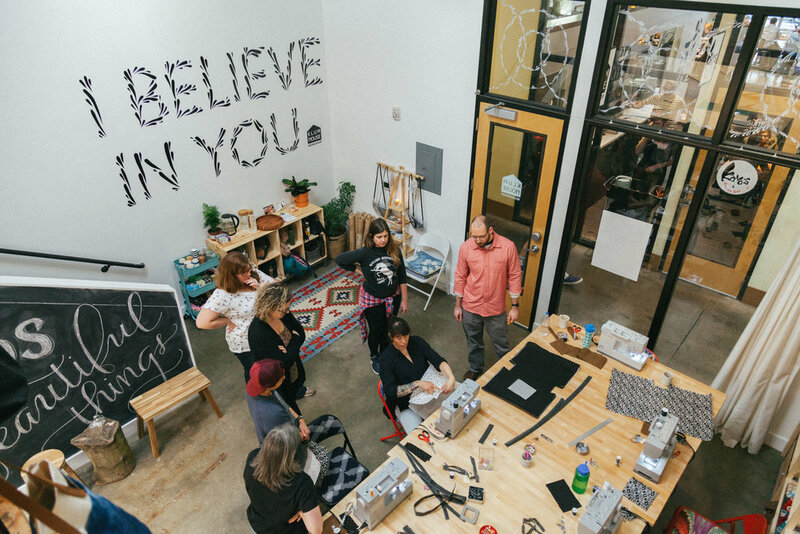 Social sew is a collaborative crafting circle in our amazing North Portland sewing studio. Although there is no direct instruction as in one of our classes, there is a sharing of knowledge while we work alongside each other. Feel free to bring snacks or drinks or just your project. Stay for an hour or a few. Super excited to sew with you. - You can totally use our machines and tools if you need them. 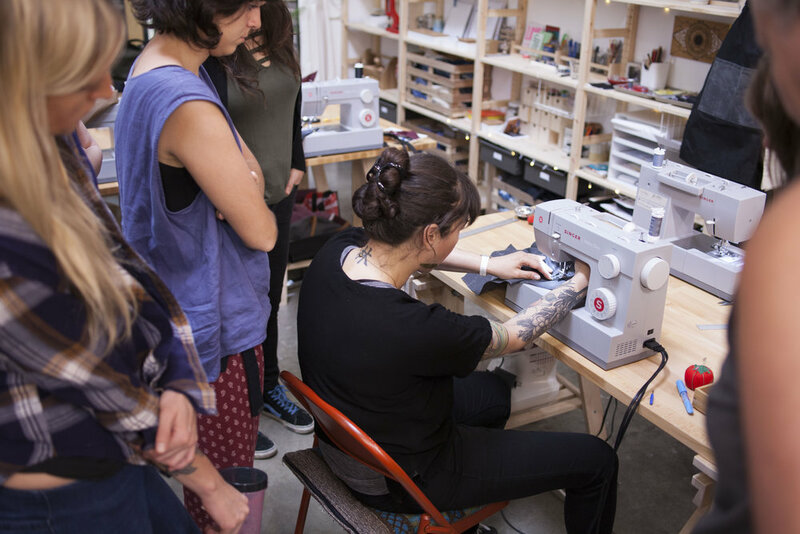 We just ask that you have prior experience using a sewing machine.